The State makes up a whole bunch of rules that the rest of us must obey. If the people don’t obey the arbitrary, mostly nonsensical rules imposed by non-productive parasites, they have not really committed an actual crime unless they have harmed someone or have violated someone else’s person or property. For example, the State has been threatening those who voluntarily possess, buy, use, or sell certain officially banned drugs with involuntary apprehension, detention and caging. Of course, this does not include alcohol or the endless list of government-approved prescription drugs produced by the pharmaceutical industry being pushed onto the public by the “doctors” of society. And all that despite the dangers of many of those pharmaceutical drugs, from alleged cholesterol-lowering drugs to the psychiatric drugs. Yet, the bureaucrats still believe that the pharma drugs should be “legal” while Against the State: An ... Llewellyn H. Rockwell Jr. Best Price: $5.00 Buy New $9.30 (as of 10:25 EDT - Details) marijuana should not be. 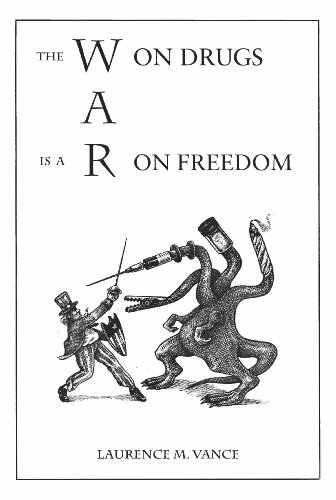 The reason alcohol is legal (except for various state-designated drinking age limits), but “street drugs” are not legal is really more to do with the Rulers’ joy in ordering people around, and not even as much to do with their love for booze. (And boy, do they sure love their booze!) And the Rulers get their marijuana joints, their lines of cocaine and even their speed pills whenever they want them, so it’s not really a matter of the Rulers genuinely “disapproving” of marijuana, speed pills and cocaine. Obviously, since the post-Prohibition legalization of alcohol the shopping malls, schools, businesses and the roads and highways have been overflowing with drunks. Why, everywhere I look I always see at least 10 drunken people falling over, thanks to the fact that booze is legal. The same thing will happen with the legalization of street drugs, of course. “Any fool can see that,” is the usual argument. But we have arbitrary rules such as laws against drunk driving, because of the risk of a drunk person causing accidents. That must be illegal because something might happen. Or something bad is more likely to happen than if the driver were not drunk. But all that does is punish people for behaviors which have not harmed anyone. I don’t think it is morally justified to punish people because of something that might happen, even when nothing happened. The problem with punishing innocent people who have not harmed anyone has to do with the society’s unwillingness to take risks. Going outdoors and walking along the sidewalk is a risk. Crossing the street is a risk. And here’s another example. The Rulers are now punishing parents who let their little kids play outside in the yard or in a playground unsupervised. They’re actually arresting and throwing in jail mothers who happen to leave a little kid in the car for five minutes, even though the child is just fine, is not too hot or cold, etc. “Oh, the child might get abducted!” Well, not really, because the chances of that happening just are so slim it’s not even particularly accurate to say that leaving the child in the car was a risk at all. But the do-gooders, the meddlers, the nosy neighbors who feel self-important by snitching to the cops, feel otherwise. Actually, those holier-than-thou snitches are acting much more criminally than the innocent parents in those examples. 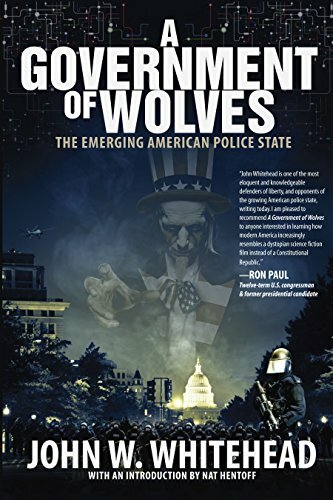 The snitches contact government police who then endanger the lives of those innocent parents by A Government of Wolves... John W. Whitehead Best Price: $1.68 Buy New $6.08 (as of 06:45 EDT - Details) arresting and jailing them. So these snitching nosy meddling neighbors are endangering innocent people, and I’d like to see the victims of such criminal endangerment fight back by having the snitchers charged with endangerment as well as false accusation. And maybe even terrorism as well, because when a little child is in the car seeing his mother being arrested by government police and for no good reason, that must be terrifying not only to the child but to the mother as well. So we shouldn’t have laws against individuals’ behaviors which do not harm others. Someone smoking pot, driving drunk or leaving the kid in the car for a few minutes is not committing an act that in and of itself is harming others. Therefore that act is not a crime. However, the enforcement of such “laws” involves the involuntary physical apprehension, detaining and caging of the individual, and it is those acts which DO harm someone, and therefore those acts are crimes! 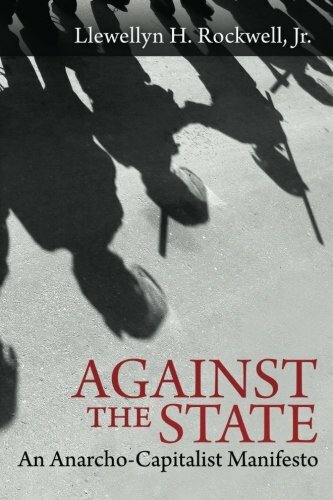 When people who know they have not committed any crime against others fight back against the regime of Nazi bureaucrats, dangerous snitching neighbors and the Rulers’ armed thugs, then maybe the growing police state can possibly be reversed. 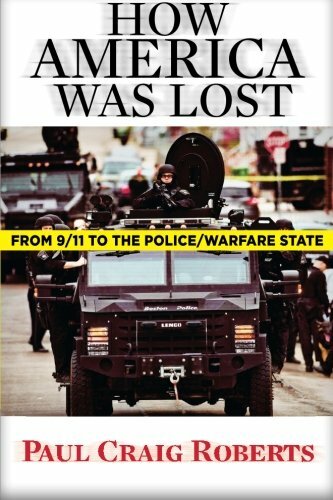 We need to see more of the State’s victims with the courage to use the Rulers’ own system against them and their enforcers, by insisting that the enforcers themselves be charged with making unlawful arrests, charged with How America Was Lost: ... Dr. Paul Craig Roberts Best Price: $8.00 Buy New $19.43 (as of 01:45 EDT - Details) unlawfully detaining and abducting the targets of the neighborhood stasi and targets of laws against victimless “crimes.” The enforcers of unjust laws must be charged with false imprisonment of innocent people. And yes, those acts of detention and imprisonment are “unlawful” and “false” because the government’s victims whose liberty actually is being criminally violated are already obviously innocent of doing any harm to others. All they have done is disobey the arbitrary orders given by power-grabbing bureaucrats. But it isn’t just the enforcers of the laws against harmless behaviors who are criminals for arresting or caging innocent people. The actual government bureaucrats who make up the artificial rules are causing the endangerment of innocent people in the first place. The Congressmen, state legislators, city councilors, etc. — those thugs also need to be arrested and charged with endangerment and threatening the lives of totally innocent people as well, each and every time they pass any law or legally enforceable ordinance that puts an innocent individual’s life at risk. And that includes the Presidents, governors, and mayors who sign such criminally injurious warrants against the hapless public. And ObamaCare mandates are criminally threatening the lives of the people and compromising their security and privacy of their medical matters, by the Rulers’ ordering people to report their private information and relationships with doctors to the “authorities,” or ordering people to pay higher taxes for “non-compliance,” i.e. disobedience. It’s no different from a master-slave relationship in which the slave must obey the master’s commands, and the State is no different from a criminal gang. The whole system under which we suffer is an Orwellian criminal racket in which real criminals are employed by the State and empowered to commit actual crimes against innocent people. Now, while I’m not suggesting that people “break the law” and put themselves in harm’s way, I would say what a much better society it would be if the entire non-government population decided to disobey bureaucrats’ orders. After all, the people have a right to disobey unlawful orders by bureaucrats and their enforcers.